Leftovers night! The sausages and polenta are from the night we had friends over for dinner, the peppers and onions are newly made but originally for the friends dinner, and the salad is the same as the golden beet, tomato, arugula, and watermelon from the salad on the 24th. So there is hardly anything new here except that I prepared fresh components because I bought too much in the first place. Not sure that these are technically leftovers but we are leaving for the “Great Road Trip, 2017” on Monday and I need to get this stuff eaten up!! 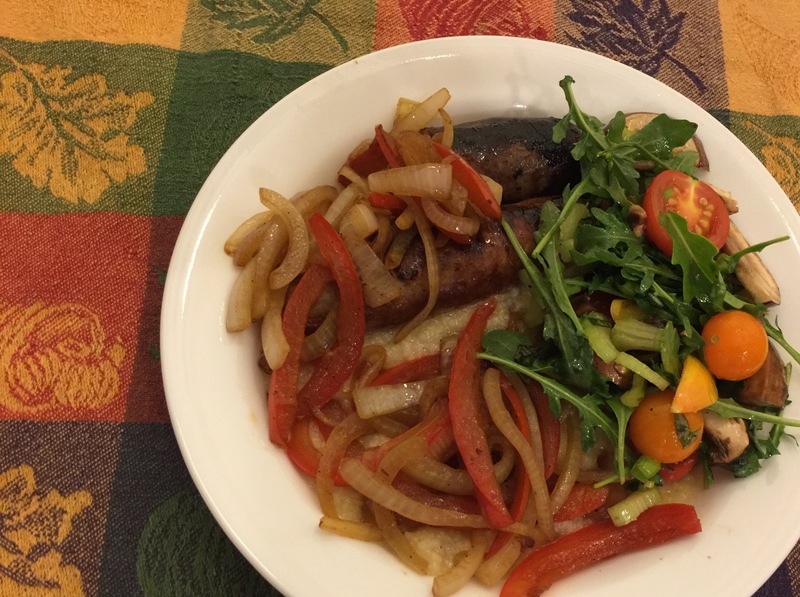 This entry was posted in Pork, Vegetables and tagged arugula, bell pepper, Celery, Italian sausage, leftovers, mushrooms, Onions, polenta, Salad, tomatoes, Vegetables. Bookmark the permalink.